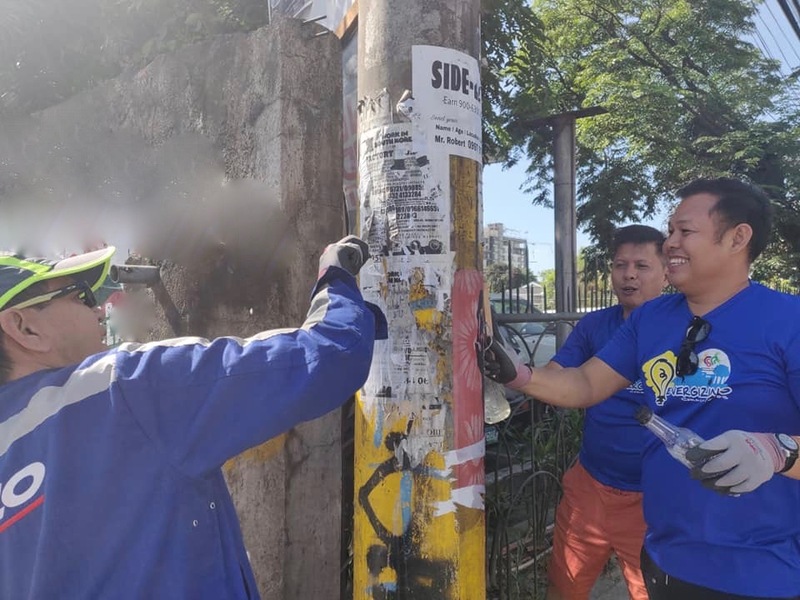 As the campaign for the upcoming May elections heats up, the Visayan Electric Company, Inc. (VECO) is reminding the public, candidates, and their supporters not to post campaign materials on its electric poles. PROHIBITED. Members of VECO’s Revenue Protection Department take out announcements and posters that are posted on VECO poles in Barangay Kasambagan. Comelec rules prohibit the posting of campaign materials on electric posts. The resolution also provides that street and lamp posts and electric posts and wires that are on public properties are considered as public places.